Scale IT automation, manage complex deployments and speed productivity. Network devices and systems can now be included in your overall automation strategy for a holistic approach. Why Ansible for Network Automation? Master Ansible in lab-intensive, real-world training with any of our Ansible focused courses. Adopt and integrate Ansible to create and standardize centralized automation practices. Ansible is powerful IT automation that you can learn quickly. 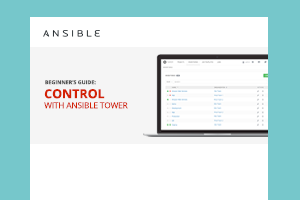 Register for an upcoming Ansible training session or watch recorded webinars anytime. AnsibleFest brings together Ansible users, developers and industry partners to share best practices, case studies and Ansible news. Connect with the Ansible team at one our upcoming events. 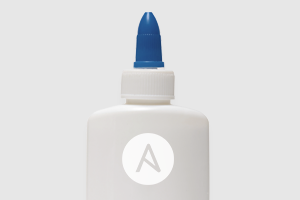 Ansible is open source and created by contributions from an active open source community. Whatever you’re deploying, there’s infrastructure underneath it. Not only does Ansible have great support for automating across the Cloud and across services , but it also supports building your infrastructure from the ground up. Ansible is simple and powerful, allowing users to easily manage various physical devices - including the provisioning of bare metal servers, network devices or even storage devices. Using Ansible’s Playbook-based automation is easy, and integrates into your current provisioning infrastructure. Once your physical devices are provisioned, Ansible can then complete the build of your entire stack... almost like magic. With Ansible, you can easily provision, destroy, take inventory, and manage your virtual environments. Plus, Ansible’s extensive support allows you to then deploy and orchestrate across all of your virtual environments once you’ve provisioned them. When you add Red Hat® Ansible® Tower to your environment, non-administrative users can safely request and manage virtual resources using the Playbooks you provide them-- all without needing access to sensitive credentials. Linux, including RHEL, CentOS, Fedora, Ubuntu, and others. No matter your platform, Ansible modules exist for managing the installation of software, updates, system configuration, and the managing of system features. And if you’ve got more specific requirements, Ansible will wrap native commands on any of these platforms, allowing you to automate anything you can imagine. Ansible is an open source community project sponsored by Red Hat, it's the simplest way to automate IT. Ansible is the only automation language that can be used across entire IT teams from systems and network administrators to developers and managers.